Audience cables and I go back a long way. It all started with a series of interactions on Audio Asylum in early 2003 between Bob Neil and myself. I had been auditioning the original Audience Au24 cables and was sure that my Nordost Valhalla cables had put away another challenger, even though a very nice-sounding one. Bob encouraged me to put the Au24 cables in for a couple of weeks and then go back to the Valhalla cables. I did, and I learned a valuable lesson about the dangers of quick comparisons. 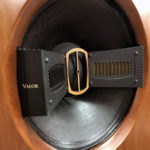 With the Nordost Valhalla, my system sounded more spectacular, but it did not, over the long run, allow my system to sound quite as much like music as the Audience au24 cables did. In the end, I had to agree with Bob that the Au24 cables were the best I had heard at that time. I should also mention that I had not bought the cables from Bob. I have used and review Audience Au24 cables off and on for the last 13 years. 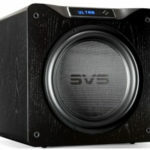 In April of 2014, I reviewed the SE version of the Au24, and now it’s my privilege to review their newest attempt to make a truly state-of-the-art cable system. I want to congratulate John McDonald, the president of Audience, for resisting the temptation of going down the road of making cables with more and more bling and raising the price to astronomical levels. I honestly believe if John thought spending more on developing and producing the cables would make them sound better, he would. I don’t think there is any doubt that John’s intent is for the new Au24 SX cables to produce a sound as good or better than any cables at any cost. 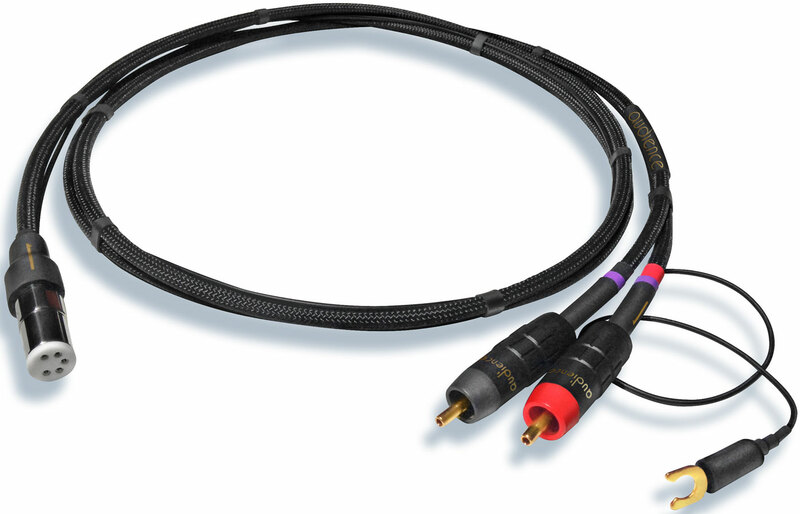 For this review of the new Audience Au24 SX cables, John sent me a phono cable that I used from the AMG turntable to either the SoundSmith SG-220 strain gauge preamp or the DS Audio Phono Equalization Box. From there, I used a meter pair of RCA interconnects to my Emia Remote Autoformer and then another meter to either the Pass Labs XA30.8 or XA60.8 amps. Finally, I used a 2.5-meter run of Au24 SX speaker cables to connect the Pass amps to my Teresonic Ingenium XR-Silver speakers. All the power cords were Audience AU24SE plugged into the HB Cables PowerSlave Marble Power Distributer. I also used another meter and one of their digital cables with various digital setups during this time. 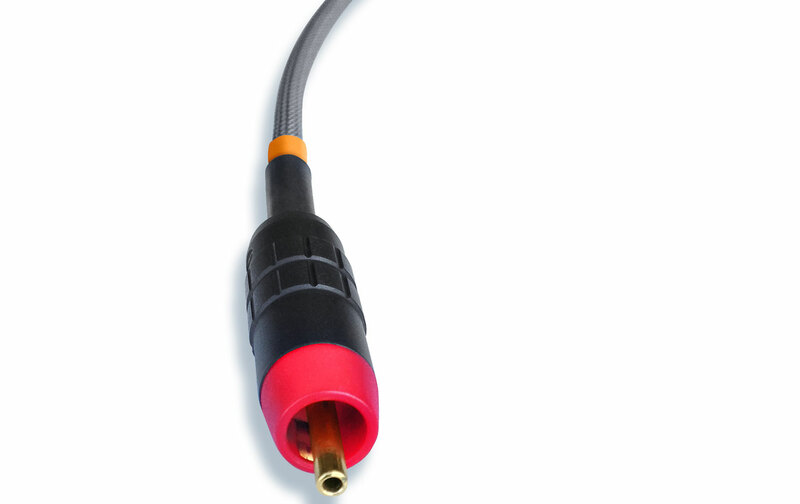 On their website, Audience says the new Au24 SX audio cables represent the biggest transformation in cable performance ever achieved by Audience. The Au24 SX differs from the Au24 SE cable lines by the use of an improved XLPE (cross-linked polyethylene) dielectric material, higher-purity “six nines” copper, and by improvements to the cable geometry. 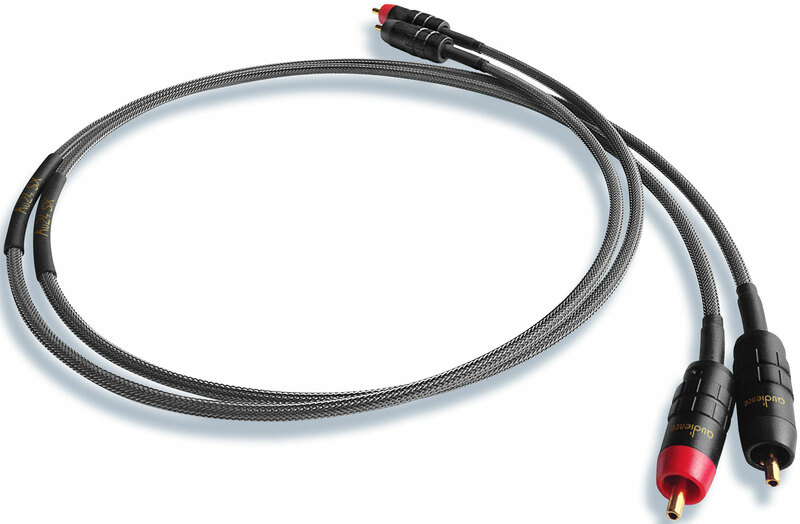 The RCA connectors are a new proprietary solder-free design. 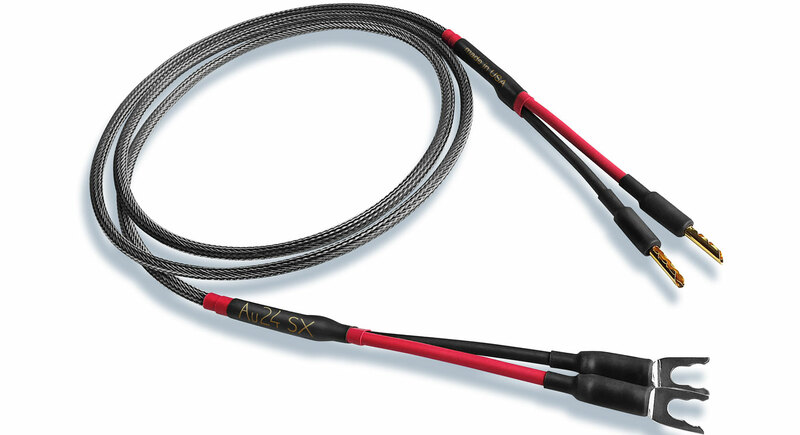 The Au24 SX loudspeaker cables are of a heavier gauge than previous Au24 lines. Like all previous Au24 cables, the Au24 SX are constructed of OHNO continuous cast single crystal copper conductors and are low mass and low eddy current resistance designs using minimal jacketing materials. 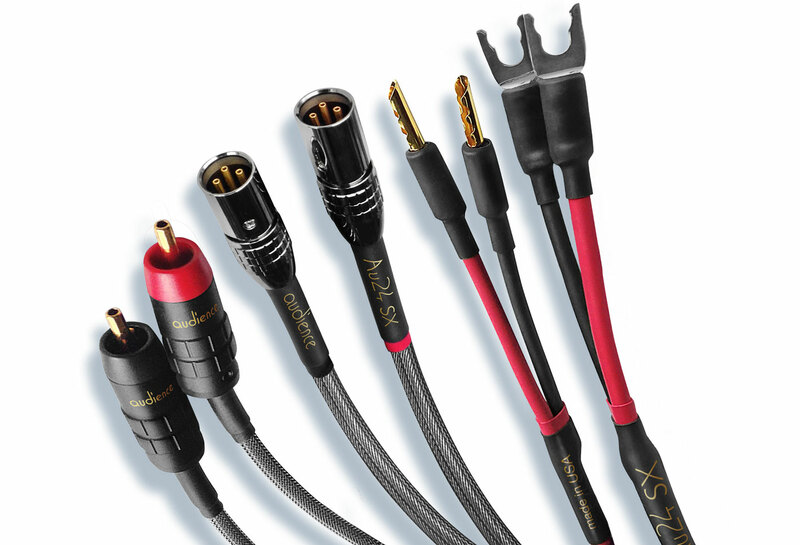 Like the previous Au24 SE, the SX phono cables come in a high or low impedance version. 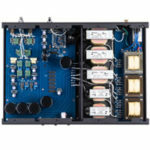 As a reviewer, I wish I could be one of those who doesn’t believe in breaking-in components. Life as a reviewer has taught me just the opposite, though. Some people say it’s your ears or maybe brain that breaks in, not the equipment. I used to just suffer through break-in, but as time goes by I most often break things in by first putting them in my office system. I always listen to it early in the reference system and then put it in the break-in system and bring it back. Let’s just say for most things, break-in is very real. This wasn’t possible when I was replacing all the cables in a system that uses a phono cartridge for its source. What good would it be if everything had 100 hours on it, except the most important two cables closest to the source? So, the cables started with about 60 hours on a cable cooker and then were moved to the system. Right from the cooker my system sounded nice, but kind of midrangy and a little bright on female vocals. 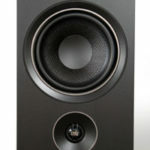 Around the 10th hour mark or about the third day of listening they sounded much smoother; in fact, a little too smooth. By the time they had 20 hours on them, my system was really singing. There was not a hint of brightness or that midrangy sound. The sound had opened up nicely and was big and bold. The sound continued to improve for about another week but was cut from the same piece of cloth from the 20-hour mark.